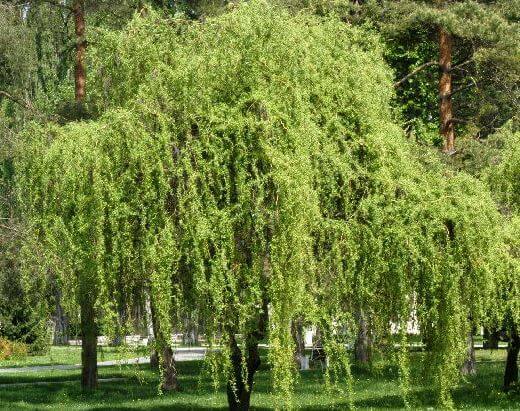 Corkscrew willows add personality to a landscape with their curly-cue leaves and twisted branches. The leaves provide a quirky texture during the spring and summer and then fall away to allow the distorted branches to create lines against fall and winter sky. Leaves are curled, narrow, tapering and bright. Very attractive in Winter when leaves fall. Full sun. Can tolerate damp to wet soil. Minimal care to keep them healthy. Watering is needed only when there is little rainfall or soil is dry. This deciduous tree works well as a focal point near water features and gathering spots in the landscape.